The American leaders, for whom this was a 42nd such consecutive annual gathering, came to Israel directly from Turkey and Egypt, where they were hosted in turn by presidents Recep Tayyip Erdogan and Abdel-Fattah el-Sissi. Presiding over the “leadership mission,” as he has been presiding over the Conference for the past 30 years, was Malcolm Hoenlein, its executive vice chairman. A fast-talking, Orthodox, no-nonsense Philadelphia native, former Soviet Jewry activist and self-styled “activist executive,” Hoenlein is an endlessly fascinating interviewee, forever throwing out tantalizing tidbits of information about meetings with presidents and prime ministers and security chiefs and kings. He seems to have met most everyone — including Syria’s Bashar Assad — and been most everywhere — though not Iran. If Benjamin Netanyahu is Time magazine’s king of Israel, then Hoenlein is, at the very least, Mr. American Jewry, and arguably the most influential American Jew in the world (until or unless Bernie Sanders says different). He’s a key bridge between Israel and the American Jewish leadership; he’s also been a central player in relations between US administrations and Israel. He’s able to meet with world leaders who have no ties with Israel, some of whom doubtless see him, too, as an entrée to American corridors of power. Comfortable in the company of Netanyahu, Hoenlein has shared many of the prime minister’s reservations about the Obama administration-led deal with Iran on its nuclear program. In this interview, Hoenlein also clearly empathizes with his various unnamed interlocutors in this part of the world who feel that the US-led West has gone soft and is failing to tackle terrorism and terror-supporting regimes effectively. His umbrella organization, which includes Americans for Peace Now but not J Street, is widely regarded as small c conservative. But he says nothing about his personal politics; to do so would only have closed some of those innumerable doors thrown open to him in the US, Israel, this region and worldwide. The Times of Israel: If you look at these Islamic State videos, they are horrifying. You immediately realize that they are meant to deter enemies. But they’re not just a deterrent, correct? 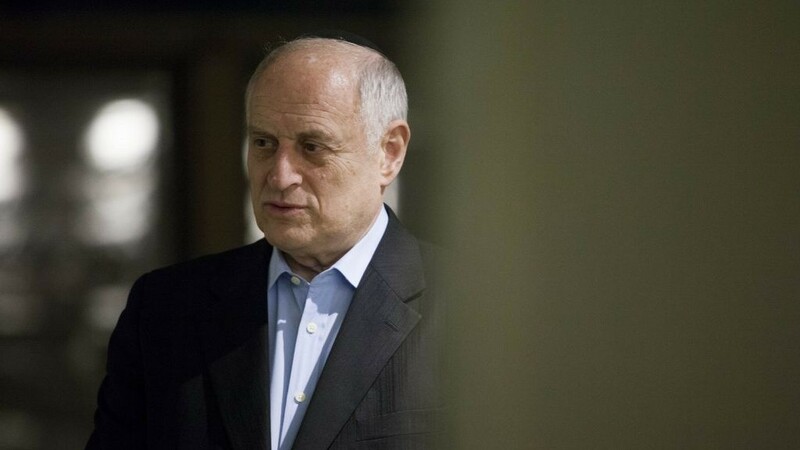 Malcolm Hoenlein: It’s recruitment. They discovered that the more extreme, the more appeal. The major recruitment tool today — not just by Islamic State; others are copying — is engagement in these horrendous acts that by every standard should revolt people, should drive them away. Some young people find it an attraction. You actually see the implementation of a death cult. But it evidently has an appeal to some western minds, to Europeans, to Canadians, to Americans, to others. Young women. Young men. Many of them not from poverty-stricken families, but from middle class families. A doctor from Medicins sans Frontiers one time called me — he was working in Syria. He told me about this influx of young French guys, and they called themselves Mohammed Merah fighters. NowMohammed Merah [who gunned down three Jewish children and a teacher in Toulouse in 2012] becomes a model? This is not a guy who engaged in a military act, a war hero, protecting people, did something amazing that would make him a hero. He murdered little children. And three hundred guys find that a motivation to go to Syria? How do you explain that such brutality is attractive? That there’s a void in Europe. Religion has become a sideshow, with the exception of radical Islam. You see it most manifested in Germany, where the parents who came as secular oriented Turks, their grandchildren are radical Islamists. Part of it is because the government didn’t integrate them. Partly because they didn’t have the right outreach. But they also invited a problem that they didn’t anticipate, and didn’t try to get a handle on in advance. Years ago, I spoke to a minister of interior in Germany who came to New York and met a small group of investment bankers. They invited me to be there. The host was somebody I knew. Most were not Jewish. This minister gave his general presentation. I asked him, What are you doing about the fact that 40% of the births (in Germany) are Muslim children? How are you working to integrate them, to educate them? And he said to me, You’re right, but the good news is that in the third generation it tends to level off. I said, So you’re saying 40%, 40%, and then, in the third generation it levels off, and that’s the good news? And his answer was essentially that was right. But he also said there are areas of Germany where they don’t teach in German — essentially saying, We’ve lost control of it. Most of the bankers walked out, shrugging their shoulders. Most of the potential investors? Yes. They said, Listen to this answer he gave; this is ridiculous. And this was before the big current wave of migration? This was an extremist Muslim leader? He was a religious leader. He wasn’t pro-terrorism. An intense religious leader. He didn’t say it as a threat. He was just being descriptive. When I started speaking in the late 1980s about the danger of Islamic fundamentalism, people thought I belonged in the loony bin. After 9/11, I literally got hundreds and hundreds of letters from people saying, We apologize. We just didn’t see it. We didn’t get it. I kept saying, You don’t know it today, but I promise you, you and your children and your grandchildren are going to be affected by it. Even Israeli leaders said to me, No, it’s not an immediate factor in the Middle East. In the late 80s. If you look at the roots of it, you see that this was all predictable, except everybody ignored it. Nobody wanted to face up to it. I went to European governments when there were 300 fighters (from Europe) in ISIS in Syria. The Syrian opposition told me: You guys better pay attention. There’s something happening. Nobody understood the phenomenon, and (nobody) addressed it when it was manageable. At the very beginning of the civil war. And you said to European governments, you should do what? Take steps to prevent people from going (to Syria). To stop the flow. Because these people have passports and are going to come back (and wreak havoc in Europe). I went to the American government too, (to discuss) the fact that (ISIS) was attracting Westerners. You tried to warn European and American leaders? … that there was a growth of this movement. My point is that virtually everything was predictable. It’s a question of whether we anticipate problems or react to problems. Whether you take them seriously or not. One of the Arab leaders told me there were 279 people from his country (who had joined ISIS) and that 200 of them have met their virgins. They’re taking proactive steps, because they know what the danger is. You think Putin’s going to let hundreds of Chechens come back, or Tajiks, or others? Trained murderers, go back to Russia? I don’t think so. My frustration is that so many of these problems were not only predictable but could have been addressed early on. But people didn’t want to listen. Europe now, with this influx: Is it too late to save certain countries in Europe from being dominated by Islamic extremists? I had an annual meeting with the French leadership at the French embassy (in Washington, DC). A dialogue. Things that I had said in the past, which they rejected — about the future, about what’s going on, about conditions — they’re now saying. It’s not an anti-Islam feeling or expression. Muslims have the same rights as anybody else. Go and come and live legally wherever they can. It was the demographic reality. 70% of them are under 25 years of age. Their birth rate is about double that of the Europeans. In the Caucasus it’s triple that of the Russians. The demographic realities dictate. It’s not something you can argue with. The numbers are there. When I would say it, European leaders often took umbrage at it and didn’t like it. It was to sound a warning. It was to say, You’ve got to think about it. You’ve got to plan. I don’t want to see people rush out of Europe. Rush out of France. Even today. They shouldn’t. It’s not a time for panic. Now you’re talking about Jews? You’re saying that French Jews shouldn’t flee? They shouldn’t flee. But they should have orderly plans in place. People who want to leave should be able to leave. Things here (in Israel) should be prepared. The licensing process for lawyers, doctors, etc., should be facilitated in order to integrate them quickly. One of the lessons we learned from the Russian immigration was that often we didn’t understand (the immigrants’ needs). Often they would take people and send them around the country, rather than concentrate people in the same area. It helps absorb them. They have the cultural cushion. For instance, they didn’t understand the need for clubs. You know Russians went out at night; they needed a place to gather. And that was a big factor in helping their integration, once it was recognized. You have to understand from their perspective, not ours. Israeli or American social workers might say, Okay, we want to integrate them into society, and put them in different places. The fact was, it was better to keep some concentration so that they could have facilities where, say, Georgians, could gather. My point being: We have to look and plan ahead, and understand that French Jews will have different needs than, say, the Russian immigration did. The Ethiopian immigration had different needs than the Russian immigration. I heard the French prime minister say at the weekend that it is inevitable that there will be more Paris-style acts of terrorism. Is Paris more capable now of stopping Islamic extremism? Has it got the resources? Has it allocated resources? Why don’t they stop them coming back? They have French passports. And you can sneak in from anywhere. You need 10 guys to watch each of them. And he said, I don’t have 15,000 guys to assign to watch them. He said that they had guys watching the Charlie Hebdo people up until the Friday before the attack, but he had to switch them to (watch) somebody else. They didn’t have enough people to allocate to (monitor) all the (potentially dangerous) people all the time. You have to take the guys and allocate them. He had a more immediate case. He shifted them to something else. And bingo, you end up under attack. Are they capable? I think it’s very difficult for them today. There are whole areas in France and other countries where the police don’t go. Christians and Jews don’t go. Jewish leaders in one of the European countries said to me, No, no, anti-Semitism is not so bad. I said, What about this incident? And they said, Yes, it’s true, it’s true, and our kids can’t walk with yarmulkes in the street, and our school has triple security, and there are parts of our capital we don’t go to. I said, At night? He said, No, during the day. I said, Why not? He said, Because the police tell us not to. Jewish leaders telling you, The police tell us we can’t walk around our capital during the day? Parts of our capital, during the day, because they can’t guarantee safety. With a kippa on their head? Because you happen to look Jewish…? The police tell them to stay away because they’re afraid (they can’t protect the Jews)… Providing security is impossible. Also, in many cases, the police don’t want to serve in protecting Jewish institutions. They say it’s boring or whatever, it’s not what they signed up to be police for. Some of them just don’t want to do it. In one country, people told me the police just wouldn’t show up for guard duty. So they wound up hiring their own security? Most communities have their own security in addition. But it’s not the same thing if you don’t have a police presence. We also are not immune to it in America. We set up a Secure Community Alert Network. We modeled it on the CST (the UK’s Community Security Trust). But it has nowhere near the capabilities of the CST. Also because of the magnitude of the American Jewish community, of our institutions, of our infrastructure — it’s so huge, that to try and protect them would cost literally hundreds of millions of dollars. People are concerned. People know that America is not immune to these things. We’ve had attacks. In France, they say 80% of incidents are not reported. I believe, in America, the overwhelming percentage of incidents or attacks are not reported. It’s a question of setting priorities. Europeans set a priority of putting institutional security high on their agenda, and they often got a lot of assistance from the government. We now get some money for cameras and simple stuff, and small grants — $25,000 — which are helpful, which are great. But the needs of our institutions to do real protection — it’s not protection, its deterrence – involve astronomical amounts. In England, they put film on the inside of all the windows (at Jewish institutions), because you know that when there’s an explosion, it’s the shattering glass that does more damage than the explosion does. I looked into whether we could do it. They did it in every institution all over England. It cost them a couple of million dollars as I recall. I looked into doing it in the US. The numbers were so big it was not even possible to begin to contemplate doing it. We in our community should not think of ourselves as separate and apart, given that the trend is universal, everywhere. Certainly the big difference is in the degree. The answer that everybody says is, Oh, you’re telling people to leave. I’m not telling people to leave. I think panicked responses are the worst possible responses. I think you can have an orderly transition. But even if we don’t do anything, the young people are going to do it on their own. The question is, can we do it in a way that directs them, constructively, and is able to bring them here and elsewhere. Young Jews are going to leave Europe for …? Israel, of course. But some are even going to Eastern Europe. They go where there are opportunities. But you want to rebuild communities. You want to have them tied to something. We have to try to reach out. (It’s a mistake) to close our eyes and say, You don’t want to encourage them to go. I’m not talking about encouraging them. You’ve got to face reality. Young non-Jews are leaving England because they can’t stand it and face a bleak future. Tens of thousands of French people move to England? England is that much better than the rest of Europe? That’s strange. You were just in Turkey. We see years of supposed efforts at rapprochement. And yet Turkey’s president supports Hamas and is often witheringly unpleasant about Israel, and doesn’t want to internalize that the blockade on Gaza is designed to prevent weapons importing by Hamas. Yet you had a very good meeting with him. All kinds of contradictions there. Where is President Erdogan leading Turkey? What is his attitude to Israel and Jews? I can’t say for certain right now. I can only judge what happened. As you know, for many years we did not have any meetings (there). And we undertook this (trip), first, at the invitation of the Turkish Jewish community. But we said, when we go to a place, we go and meet with the (national) leadership. And I will tell you, I was surprised at the response, in that they were able to (arrange) the meeting (with Erdogan). But not only that. The meeting was supposed to be with only four or five of our people. They said he doesn’t meet with more. But he invited the whole group — we had 35 people there. And to take a group picture for the press? And then to put out the picture? They put it out. The same thing with (Egypt’s President) Sissi. We did not put it out. We wanted to have a serious dialogue. We wanted them to see we’re serious. We’re not there to grandstand. We’re not looking for PR. Most places we go, we don’t do publicly, because I’m interested in a long-term relationship, in making a difference. We made (certain) requests in both places. To have credibility is based on the fact that we don’t leak things, and we don’t try to exploit. They need to see that we’re serious interlocutors for future engagements. Without going into specifics, then, what should we in Israel make of Erdogan? It’s an enigma. What was interesting was that he presented an eight-point plan. It could be an exit ladder from the problem (of fraught ties with Israel). I’m not saying it’s realistic, but it could be a basis for talks. He has his view of Hamas and of the situation in Gaza. We addressed it, we talked about how we perceived it differently — especially about the tunnels, and the general situation, and what Israel contributes to Gaza. There are so many external pressures that come into play on all countries in the region daily. Iran, terrorism — where Israel can play an important (constructive) role — economic pressures, tourism which has been decimated in both countries. Islamic State. The collective phenomena of terrorism. What will happen in Syria: Both Egypt and Turkey oppose the disintegration of Syria. One wants Assad to stay; one wants Assad to go. But they don’t want to see the collapse, nor allowing Iran to become the dominant factor, the dominant influence. There are a lot of questions about Russia’s role — for Turkey that’s a bigger issue than for Egypt. Erdogan spoke to us for an hour and a half. He took questions. It was an interaction. I had made a specific request. On the way out, he said to me, I will not forget what you asked me to do in this case. It’s not a lost cause, then, but it’s complicated? I don’t think we should look for instant solutions in Israel-Turkish relations. The role of the United States is very critical in a lot of this. Some of the reaction we’re seeing is to the feeling that the West has withdrawn, or that if the West had stepped in earlier in Syria, the situation could have been stabilized; there’s a feeling that if they had acted differently… There’s a general condemnation of the West that you hear in many places: Is America withdrawing, is the West withdrawing, is the West committed to come and stabilize certain situations? Everybody has their own perspective. And it is influenced by their unique experience. I’ve had this discussion with the president and with others: It’s not important what we say; it’s important what they hear. It’s important how they perceive what we’re saying. For instance, when we withdrew one of our aircraft carriers from the Persian Gulf (last year), it was because of sequestration. I said to the president, I believe it was because of sequestration. But do you think there’s one person in Tehran who believes that, who believes we don’t have the money to keep two aircraft carriers if we wanted to? Or do they interpret it as (the United States) saying the military option is lessened? It’s what they hear, it’s what they perceive us to be saying and doing, that’s important. We can have the most pure motives and the most amazing policy, but if it doesn’t reach them, if they do not properly understand, it will be misinterpreted. That’s why these discussions (in world capitals with world leaders) are so important , because you hear first hand, what did they think, how did they see it. And we listen to them, as they hear our thoughts without filters. Tell us about Sissi in that context. It was remarkable. I mean, his analysis of everything, where he stood on the issues. He had a prepared speech, but he put it aside. He spoke for one hour, at least. He’s personable. He was direct, even frank. He wants good relations with the US. He said when Sadat (made peace with Israel) 40 years ago, no one could have imagined that the current level of engagement and cooperation with Israel would exist. He said to me earlier, If 30 years ago I would have said to you that 1,000 Egyptian war tanks would enter the Sinai, and Egyptian war planes would fly every day along the Israeli border, and nobody has to worry about a stray bullet, would you have believed me? He made this point several ways during the discussion about the level of (Egyptian-Israeli) cooperation, how it works and why it’s so important. He gets Hamas. He gets it. He gets the threat and the need to address it. In both cases (in Turkey and Egypt), I saw that they were looking for opportunities. This Mediterranean alternative is having an impact. It impacts Turkey. It impacts Sissi. This Greece-Cyprus-Israel (alliance), which is something we’ve been pushing for many years. I discussed it here many years ago. When we were in Spain we raised it. We raised it in Italy. We raised it in Morocco. We raised it in Malta. People were responsive to it. Taking Israel out of the volcano of the Middle East and giving it this alternative region in which to act. Sissi said to us, when we raised the Mediterranean option, he said, We’re already in. We’re in. The Turks also made reference to it. Sissi came to power problematically — ousted a democratically elected government, but one that would never have held another democratic election. He astoundingly tackles Islamic extremism in terms of ideological criticism. I worry about him. He’s making a lot of enemies at home. I worry that the West will regret if it doesn’t come to help him. I don’t know if that’s your sense? Exactly. I worry about it as well. What could be done before we look back in a few years time and say, Why didn’t we help him? One of the things we need to do is help people get a better understanding of who he is, what he stands for. He said, The Muslim Brotherhood were elected in a democratic election and then went on to take control of every institution, everything, and 30 million people took to the streets, eventually realizing that they were heading into an Islamist dictatorship. He didn’t camouflage it. He said, Look, here’s what they represent. Here’s the threat: They think they should be the rulers of the country, of the caliphate; they should rule the world. They have this religious ideology, which is totally exclusive of everybody else. He talked about religious tolerance at considerable length. It was really quite a remarkable address. The Muslim Brotherhood attacked him afterwards for his meeting with us. Someone blogged in New York about, Sissi is so happy because he’s with his clan, Sissi the Jew. Sissi laid out a vision for what he wants. He obviously wants to improve the situation in Egypt. The economics of the country are devastated. He wants more of a relationship with the United States. He’s very concerned about Libya, fearing it could go in the direction of Syria. He’s very worried about the Sudan and about Yemen, about the coalitions that are taking shape: Qatar, Turkey, others; the conflict between Sunnis and Shiites. All of these things can spill over, But most of all, (he’s worried) about the scourge of terrorism and the threat posed in Sinai, Gaza and along Egypt’s borders. Practically speaking, what can the US and the West do for Egypt? Help their economy. Fifty percent of people make two dollars a day. It will take a lot to make a difference, it’s a country of 90 million people. But if he can provide the stability, tourism should come back. People should see that it’s safe to go there, that it’s a country that you can visit. Doing joint visits (can help) — Egypt-Israel. We’ve been working with an airline about Greece-Israel. People vacationing or touring could go to Greece, could go to Jerusalem, on one ticket. Part of the Mediterranean thing is that you would be able to visit combinations of countries — that we could encourage tourism between those countries. For Egypt, tourism is a huge part of their GDP. People would need to feel it’s safer, which they don’t. So (we can help), by going ,and bringing groups, and showing that essentially it’s safe. I mean we had security (for our group). I’m not going to compare it with regular tourism. But what about here in Israel? People think, the image is, that everything’s exploding. The media shows that one picture of an incident. Nobody shows the 99.99 percent of everything else. They show that, because that’s the news. People in Israel often don’t even know about it, because they go on with their lives. One of the reasons why we come here and do this mission and have a tour is to show people that it’s safe. We had people who didn’t come. Didn’t come to the Israel part of the mission? There were people who didn’t come because of concern about security in Turkey and in Egypt. There are a few spouses of leaders of organizations who didn’t want to participate here — I’m talking about the Israel part. You haven’t been to Iran, I take it? Are you as worried as mainstream Israel is about, never mind getting near to the bomb because of this deal, but getting all the money and being entrenched because of this deal. We’re all very concerned about Iran having this flow of money. I believe the (economic) deals are going to be much slower in coming than was thought. The price of oil collapsing and staying low will be a tremendous pressure on them. When they went out of the business it was $108 a barrel, when they’re coming in it’s $30 a barrel. If they start producing more, it will keep the price down. Also, a lot of the banks are reluctant to do deals with them. They’re not out of some of the complications of banking deals and getting financing. They’ll make deals with China. They’ll make some of the deals. But I’m not sure how much money they’re really going to have to be able to spend, because some of the money has to stay to pay for debts in those countries. Some of the money will be spent on buying goods that will be sent into Iran. Forty-five percent of the economy is controlled by the Ayatollahs and the IRGC. They’re going to get the contracts. People are not going to see the benefit of this. And then you could have the backlash, people saying, If all this money came in, how come we’re not seeing it? Do you think they’re going to honor the deal? I don’t believe that their intention is to honor it fully. I believe that they will try to avoid an open confrontation, certainly until all the funds and everything else is released. But they’ve already tested it — with the ballistic missile test — and the fact is that we didn’t respond in a strong way, and they didn’t pay a heavy price. The French are talking about putting sanctions against them for it but so far little has happened. What is the perception in other countries? They say, again, the West is doing nothing, it’s a paper tiger. It won’t stand up. You’ve got a blatant violation. They capture our US sailors and they keep putting up videos humiliating us there. They shoot missiles over our (ships). They play havoc with our aircraft carriers. Just smash the bug. You’ve got to do it. That’s the only message that will resonate, otherwise they see the West lacks resolve. This is what some Arab leaders are saying to you? This is the perception. This is the reality. And they of course say, Look, Iran is getting away with their violations. The West doesn’t have the will to stand up to them. And the Iranians are counting on that, too. You know that they’re not going to keep the agreement. Ask any of the serious people at the IAEA, as we have. Talk to them about it. They say, We don’t really have full access yet to all information. We shouldn’t diminish (the nuclear accord). The fact is that they sent 25 tons of enriched uranium out. Some of the aspects (in the Iranian nuclear program) has stopped at least for now. Those are good things. But listen to what they say: We’re already doubling the amount we have of enriched uranium. We have other facilities, we have other things. We’re doing the ballistic missile tests and we will do much more. So they’ll wait the 10 years to perfect the system. They could buy (the bomb) elsewhere; the North Koreans could be testing for them. The relationship between the two is certainly synergetic. It could well be that Iran will adhere to the letter, but not the spirit of the JCPOA. I believe that they will violate in a much bigger way. How dangerous do you think this Iranian regime is? When you’re driven by an extremist religious ideology, it is very hard to rationalize and to say that it’s predictable along traditional political analysis lines or anticipation. When Khomeini’s own grandson gets turned down (as an election candidate), when thousands of “moderates” — who are not moderate by normal standards — are rejected by the hardliners, and when they can so control who’s going to get elected to the council that will be responsible for electing the next ayatollah, yes, I think we’ve got a lot of reason to be concerned, and to see Iran going in a bad direction. Beyond this part of the world? Everywhere. everywhere. In South America today, Iran is so active and so involved. We have monitored it for years. We have a young expert who’s doing a lot of research on it. He said there are 30-40,000 agents of Iran in South America. They have opened 80 or 90 cultural centers, which are not for cultural purposes. They do it all over the world. They’ve doubled the number of diplomatic missions in South America. They’re active in every country, from Argentina to Mexico. And in Mexico, very heavily. Hezbollah has activities. They have training camps. They have IRGC presences in a lot of these countries. They can extract uranium — Venezuela has this huge uranium deposit. They have a factory there. They said it was for cement or some craziness. If you look at the satellite photos, you’ll see how their presence, their physical presence, the infrastructure that they’ve built in these places, has extended hugely, like quadrupled since 2004. The physical plants (they’ve built). And next door it’s often a Russian plant or a Chinese installation. So if you attack one, the likelihood is that you hit the others also. The Iranians see South America not only as a place to exploit. This (presence) enables them to threaten us. They can fight us from two hours off our coast. In fact they can fight us across our border. In Mexico, the FBI testified 100 tunnels were discovered. 102 tunnels. Hezbollah-style tunnels. Are you saying that Iran is tunneling under the Mexico-America border? I’m saying that these are Hezbollah-style tunnels. I’m not saying that Iranian agents are digging them. Bu Iranian agents are active all over Mexico. And it’s the FBI that testified about these hundred tunnels — 102 tunnels that they’ve discovered. That’s only what they’ve discovered. This was testimony about a year ago by the head of the FBI. Why would Iran be tunneling under the American border? First of all, because you smuggle things through. I didn’t say Iran is doing it. I just said that they’re Hezbollah-style. But Iran is very active in Mexico. Hezbollah is active in Mexico. I’ll give you one example: illicit cigarettes. They have a network created in the United States and from Mexico now, where they took over legitimate cigarette businesses. They make illicit cigarettes — non-taxed cigarettes, regular but non-taxed. But they also make what they call white cigarettes, with no brand name. And fake cigarettes, which are really filled with all sorts of bad things and are very dangerous. There are 50 places on the Canadian-New York border alone where they produce these things and it is estimated that New York state loses $200-300 million (annually) in taxes alone. Hezbollah makes more than half a billion dollars a year from the United States from these illicit cigarettes. There’s an intricate network of movement of products from Africa to South America to America. We’ve been talking about it for a long time, trying to get law enforcement involved. Finally, I mentioned it on my radio show and a big tobacco company executive heard it. And we hooked up and they put money into it. They’ve created a task force on this. The Saudis and many others got involved. Diplomats got involved in a more serious effort. This involves narco-terrorism, weapons supplies. All sorts of things. It’s a very intricate operation. And they have now moved. They started bases in Venezuela. They were able to move into Nicaragua, El Salvador. The Bolivarian countries. And then spread to Argentina and Brazil. It goes all the way up, they tell me. Even Panama and Colombia, our two stronger allies, have a strong presence. It goes up to the border with Mexico. Iran wants to take over the world? This regime believes it can take over the world? Sorry, but not of course. Nobody else says that. Read what Khamenei says and writes. He is clear about it. The Muslim Brotherhood also believes that they can take over, that they are creating a caliphate. The world? We’re in Israel, we’re worrying about this region. The Muslim Brotherhood wants to take the region, and the world. They believe that they will control the world. No. The Muslim Brotherhood has many designs, Iran has its own hegemonic goals, as do others like the Wahhabis. It’s part of the Muslim Brotherhood ideology, as it is of ISIS. There are international operations. The Iranians talk openly about their drive to recreate the Persian Empire, and say that now, for the first time in history, they control four Arab capitals: Baghdad, Sanaa, Beirut, Damascus. They have operations all over the world. They are working all over Africa and in Asia. We hear complaints from every country about it. Go to the Central Asians and ask them what’s the big problem? African leaders. They used to tell us China was the big problem. Today? Iran, Iran, Iran, Iran. And Iran supports Boko Haram and other terrorist activities. They have a global perspective about what they can do. The Muslim Brotherhood started building an empire, winning every election from Egypt to Morocco, with some success. Thankfully it was reversed in Egypt and Tunisia. There are competing parties trying to build empires. The Ottoman Empire. The Persian Empire. The Muslim Brotherhood Empire. The Wahhabi Empire. They all have grand visions of imposing their will. And they’re doing it. We hear about in different countries, about the activities of agents of these different parties. The Muslim Brotherhood was somewhat contained, but they’re far from stopped; they’re still very active. But it is Iran today that is the most aggressive and boasts of its intent. And they have activities around the world. ISIS cites affiliates in 45-60 countries. Who would believe that it could become a global movement, when it’s a relatively small operation? They don’t have one jet plane; they don’t have one aircraft carrier, one ship or anything. But they have become a global danger. Iran has a huge infrastructure, and now will have a lot of money to place behind it. But it’s driven by an extremist ideology. That’s why I said, When you have radical religious ideologies behind the movements that we’re dealing with, you can’t deal with them in the traditional, rational way, because often the motivation is an irrational one. So how are you supposed to deal with them? There’s only one language a terrorist understands: strength. You’ve got to stand up for principle. You’ve got to be tough. You’ve got to think about the needs of the people. You’ve got to address the needs. But at the same time you’ve got to be tough with terrorists and their supporters. They probe for weakness. And when they find it, they exploit it. If they have to move forward two steps and back one, they will do it. They will wait for the right time to strike. Terrorists are by nature cowards. That’s why they don’t attack military targets. They attack civilians. They engage in these horrific acts. They have no moral limitations that traditional armies have. When you say terrorists, you are also talking about regimes such as Iran? I meant terrorist organizations per se but also their enablers. Iran is the major terrorist-supporting state in the world — global terrorism that they fund, they support, they back. It is a central component of their drive for hegemony in the region, and ultimately global dominance. Read what they say. You’ve got to take the words of their leaders seriously. They tell you what they mean. Khamenei says it clearly. We don’t believe them. But they tell us what they’re going to do. Hitler told us what he was going to do when he wrote Mein Kampf. Nobody wanted to believe it. In 1932, he told them what he wanted to do. Stalin told everybody what he would do. Dictators tell the truth. Leaders of democracies may lie, but (dictators) often tell the truth. They tell you what they’re going to do; we just don’t listen. Khamenei has told us all along what he intends to do, and what Iran’s goals are, and what they want to impose. When they say they want to destroy Israel. When they say they want to establish hegemony. When they say they want to spread the Iranian influence. All those things they mean and they’re doing much of it today. Look what Khamenei said on Palestine: He wrote a book in August called Palestina and he said, We’re going to make life intolerable. No need for nukes against Israel; we’re going to make life intolerable. What do you think these knifings are? It’s exactly a manifestation of what he said in the book. I’m not saying that Iran dictated all of these attacks. But is this such a coincidence? He writes in the book, What we’re going to do is drive the Jews out, because we’re going to make life intolerable in the country because of violence — and then you have the knife-ifada and other acts of violence let alone the arms to Hamas and Hezbollah. So I think you have to listen to what they say. You have to take it seriously. We have to act more pre-emptively. We have to deal with the threats earlier on. We knew that the Houthis were on the move months before they got to Sanaa. I talked to the American government about it. Others talked to governments about it. It was known. And we could have stopped them with a few drones. They would have run away. There were 450 of them in the beginning. They kept moving ahead and moving ahead, and nobody did anything. They never anticipated getting to Sanaa, I believe. In the case of Iran, what pre-emptive action should be taken? They have to understand that we’re going to be tough as hell. That we’re not going to tolerate any of these excesses. No more ballistic missile launches without really serious consequences. No more of the threats. No more supporting global terrorism. They have to know there is a price to pay. Their economy is so weak, you could cripple them, and maybe bring about a revolution from inside the country. I don’t want to see us imposing regime change. The people wanted regime change. They wanted it in the Green Revolution and we abandoned them. We abandoned the students when they engaged in a revolution. The West abandoned them completely. And they said, “We put our lives on the line and you abandoned us.” They don’t feel the West is supporting them. Economics is one factor. It’s economic, it’s military, it’s security. We can isolate them. We could do many things. I would like to see Iran come back to the community of nations. I would like to see the Iran deal really work. I mean that honestly. I would like to see it work that they are no longer a nuclear power. I believe that we should do much more to help the people in the country, and support them, and let them know — especially the young people, who don’t want this yoke on them. There’s no sign now that we’re going to get a better situation, when they knock out every moderate who’s running for office. I feel there’s so much at stake. Terrorism is a global threat. You have a billion Muslims in the world. Unfortunately they’re all being tarred with the brush because of the (extremist) activities. This is unfair. We’ve got to see more action by Muslim leaders denouncing it. We’ve got to see Muslim countries stepping up to the plate. We’ve got to see more President Sissis, more King Abdullahs, King Mohammeds, etc. Just think, if President Sissi was not there, what would the Gaza war have been like (in 2014)? How many more lives would have been lost — of Gazans, Israelis and others? He stands up to the terrorists. And the West should be there supporting him. They want more human rights? I agree. You want to protest about some activities? But put it in context. Think what the longer range goals and interests are. You can bring them along. If you build the economy, and other things, the benefits will flow from there too. But right now, you’ve got a regime that’s standing up (to extremism). We’ve got to be standing with them. We ought to be standing with (certain) other governments. The government of Azerbaijan gets beaten up all the time. But look what they’re facing. They’re facing Iran pressing from one side. The Russians from the other side. The Islamic fundamentalists. And (President Aliev) is trying to be pro-West. And he said: At some point you’ll break me, but what will follow me, you won’t like. Do we think ahead a step? I mean, what will happen if Aliev collapses? We have to use pressure and use it wisely. Build the economy in these countries, invest in them. I don’t know what’s going to happen with the Ukraine. I don’t know what’s going to happen with Crimea. It’s not my area of expertise. But that was also a message. Meanwhile the United States is getting ready to label settlement goods, and pressure Israel on the Palestinian front? It is not clear yet. There is an existing law since 1995. It was revised in 1997. They assure us that there’s no greater degree of implementation now than there was in 1997. We will have to see, and we are monitoring it. We have spoken to high level officials about it. If it’s going to be observed in the breach as it was until now, I don’t think it would stop trade in any way. 99 percent of people won’t stop because it (a label) says West Bank or not. But it’s the idea that this is a first step or will be exploited toward a boycott and more nefarious activities. So we are watching. Are you clear on whether they are going to start labeling? There hasn’t been any practical action? Right. So far not, and there are various conflicting reports. That’s one reason why we should not be in an all-out public battle until we know. Sometimes, the more you make it a public issue and a public confrontation, it could lead to pressure for enforcement. But they reissued the law? Perhaps because the Europeans issued new regulations on labelling West Bank products. Until now they said, We have an existing law when we want it. That’s all. It did not come out from the White House, by the way. The White House claims, same with State, it was not even aware when the statement was issued. I’m saying it’s something we have to watch carefully, and we have to make sure it doesn’t lead to anything more serious.